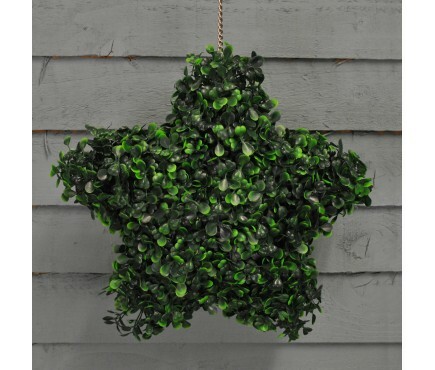 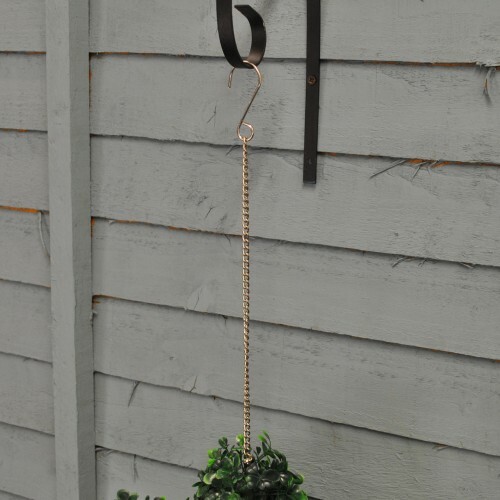 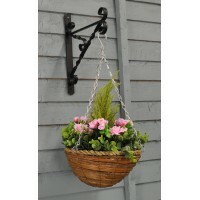 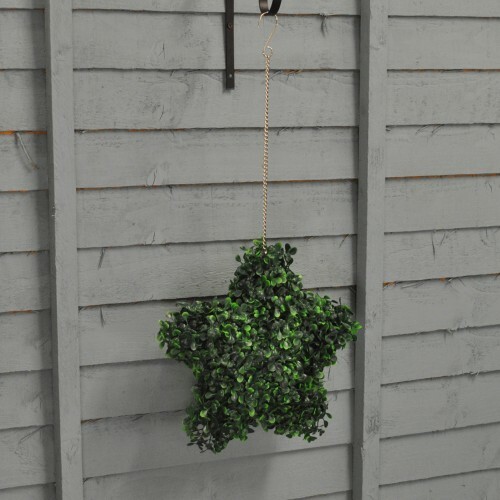 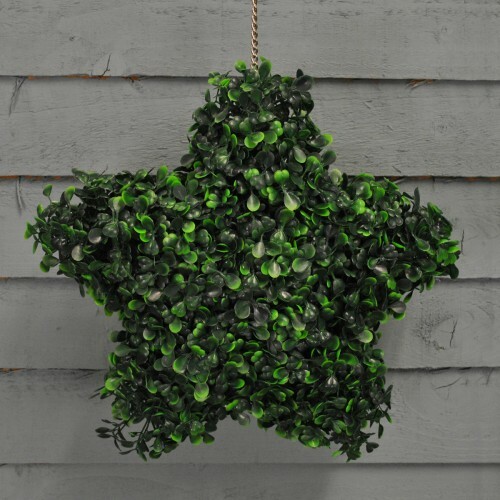 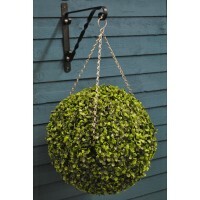 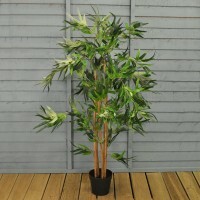 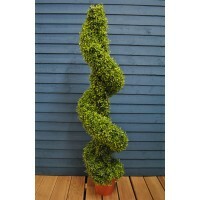 The Leaf Effect Topiary Star is an ideal garden decoration that can look great on a wall or as a hanging decoration. 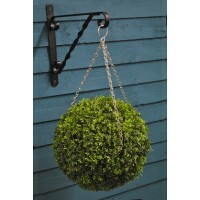 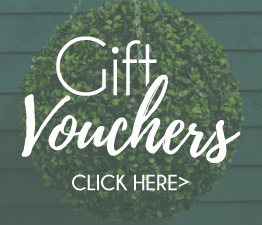 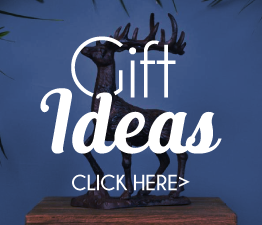 Brighten gardens and atmospheres with this novelty feature. 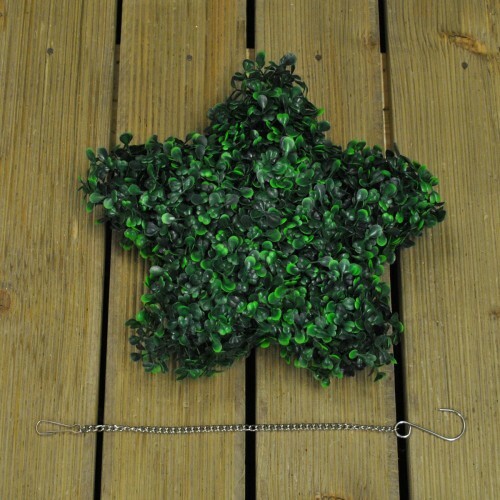 Being artificial there is no need to continuously keep watering and trimming this topiary. 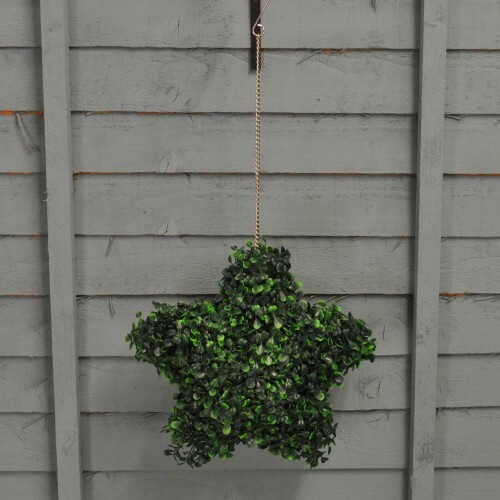 UV and weather resistant, the star also comes with a hanging chain.